(37) He answered, “The one who sows the good seed is the Son of Man. (38) The field is the world, and the good seed is the sons of the kingdom. The weeds are the sons of the evil one, (39) and the enemy who sowed them is the devil. The harvest is the end of the age, and the reapers are angels. (40) Just as the weeds are gathered and burned with fire, so will it be at the end of the age. 4. At the end of the age, the sons of the kingdom are sent to heaven and the sons of the evil one are sent to hell. Assuming that my interpretation above is correct, I am facing a "dead end" in an effort to connect it with the election before the beginning of the age. If in the beginning there were already two different beings who sow and two different kinds of seed, how is this consistent with election? There are two people placing balls in a box, Mr. X and Mr. Y. From Monday to Saturday, Mr. X places white balls in the box while Mr. Y places black balls in the box. Mr. X lets the white and black balls sit together in the same box. On Sunday, Mr. X burns the 90 black balls and play with his 10 white balls. I am confused on how to apply a kind of election event before the "filling the box with white balls" event take place, but I can apply it on Sunday ---> On Sunday, Mr. X choose the white balls from all the balls in the box. Assuming my interpretation above is consistent with Calvinist theology, how do Calvinists reconcile it with unconditional election? So Jesus is saying that the devil claimed them before they were created. Jesus informed them that they never came from God and they are certainly going to hell. 1. In the beginning there are two beings, God and the Devil. Each of them has their own children. God's children are the sons of the kingdom, the Devil's children are the sons of evil. After the creation, God "sows" His good seeds (the sons of the kingdom) into the world - and the Devil (God's enemy) also "sows" his weeds (the sons of the evil) into the world. God let the weeds grow together with His good seeds. At the end, God separates his wheat from the Devil’s weeds. He keeps the wheat and burns the weeds. I do not see how 1 could have occurred before creation without 2 and 3 also having been planned before creation. He determined that Mr. Y will put black balls into the box over the same six days. He will allow both kinds of ball to mix together. On Sunday, he will remove the white balls from the box. Is this how the Calvinist thinks of election with regard to the parable in Matthew? Thank you. The Calvinist understanding is that election occurs before anyone is even created. So, in your ball analogy, before the balls are created, God first determines how many there will be, which ones will be saved, and when they will be saved. He then creates them, and allows their sinful nature and Satan's working to plunge them into damnation. He then saves those He previously decided to save (election). Mr. X decides how many balls will become white on Sunday, then creates all of them white, they become black from their own efforts, and then during the week Mr. X colours some of them white. He had formerly said that the kingdom of heaven resembles a man sowing. The mode of expression is unusual, but plainly means, that the same thing happens with the preaching of the Gospel as usually takes place in the sowing of fields; the tares grow, up along with the wheat One peculiarity, however, is pointed out by him, when he says that the sowing of tares in the field was effected by the trick of an enemy. This is intended to inform us that, when many wicked men are mingled with believers, this is no accidental or natural occurrence, as if they were the same seed, but that we must learn to charge the blame of this evil on the devil. Not that, by condemning him, men are acquitted of guilt; but, in the first place, that no blame whatever may be laid on God on account of this fault which arose from the agency of another; and, secondly, that we may not be surprised to find tares frequently growing in the Lord’s field, since Satan is always on the watch to do mischief. Again, when Christ says, not that the ministers of the word sow, but that he alone sows, this is not without meaning; for though this cannot be supposed to be restricted to his person, yet as he makes use of our exertions, and employs us as his instruments, for cultivating his field, so that He alone acts by us and in us, he justly claims for himself what is, in some respects, common to his ministers. Let us, therefore, remember, that the Gospel is preached, not only by Christ’s command, but by his authority. and direction; in short, that we are only his hand, and that He alone is the Author of the work. I wonder if the heart of your question is found in a related question: If God "shows no partiality," how do Calvinists defend predestination? In this verse, it is clear that God knew ahead of time who would believe, and that He also chose beforehand that they should be made like His Son in righteousness and follow Him in resurrection to the incorruptible life as members of God's household. 1) Every man is born with eternal consequences for sin. 2) Those whom God foreknew would believe in Him are led by His grace to trust Jesus for salvation. They are the elect. 3) All who are born are children of wrath, deserving of eternal separation from God and His family. It is those who refuse to receive the gift of eternal life who are sons of the evil one. It isn't that the devil created them, as the language "sowed them" might suggest. Sons of the evil one inherited him as father through birth into the human race as sons of the first Adam, like all of us. 4) The difference is that those whom God foreknew and thus predestined are, at the moment of saving faith, transferred from the kingdom of darkness into the kingdom of God's beloved Son. Jesus is known as the Second Adam. Those who are transferred to His kingdom are no longer represented by the first Adam and no longer sons of the evil one. For as in Adam all die, so also in Christ shall all be made alive. But each in his own order: Christ the firstfruits, then at his coming those who belong to Christ. Then comes the end, when he delivers the kingdom to God the Father after destroying every rule and every authority and power. ...those who live according to the Spirit set their minds on the things of the Spirit. For to set the mind on the flesh is death, but to set the mind on the Spirit is life and peace. For the mind that is set on the flesh is hostile to God, for it does not submit to God’s law; indeed, it cannot. Those who are in the flesh cannot please God. If you really want me to use your ball analogy, perhaps this will help. Let's use dirty and clean instead of black and white. All balls begin dirty to the core, but God knows which ones will trust Jesus and wash in His blood for forgiveness of sins. He works on those trusting, dirty balls from the inside out, so that when Jesus comes for those who belong to Him, He can remove the remaining dirty shell, corrupted by sin, and reveal the beautiful ball He has made righteous to the core. At that point, the ones who remain dirty can do nothing to make themselves clean and are revealed to be sons of the evil one. Only the clean ones, made clean by God Himself, have a place in God's Kingdom. "If in the beginning there were already two different beings who sow and two different kinds of seed, how is this consistent with election?" The good seed sown by the Son of man are the elect, and those not sown by the Son of man are not elect. I can't see what the problem is. Am I missing something here? Not the answer you're looking for? 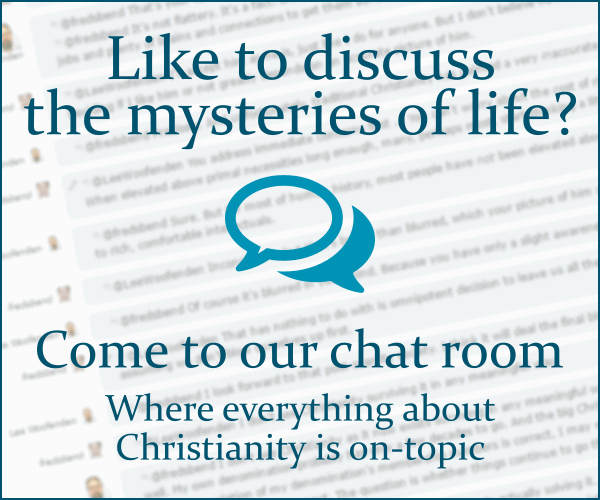 Browse other questions tagged exegesis reformed-theology gospel-of-matthew predestination unconditional-election or ask your own question. Is Paul making an oath in Galatians 1? Whom are the 'least of these' in Matthew 25:45 refering to? Being an endtime prophecy, how does Genesis 49:10 affect Christians since one side of it in ''Judah'' already has?